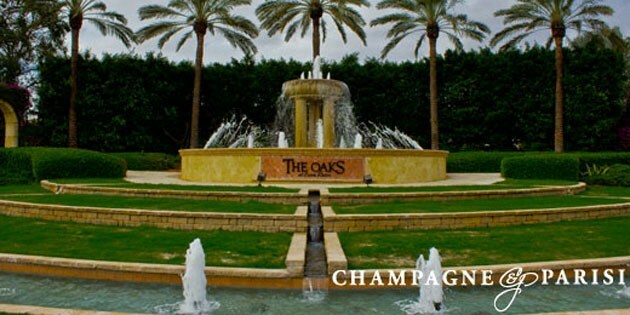 The Oaks at Boca Raton, is an upscale, gated community located in beautiful West Boca Raton, FL. This family-friendly community rests on 282 acres of lush tropical foliage and shimmering lakes. One of the most luxurious, beautiful communities in the area, The Oaks is amongst the top gated communities in Boca Raton, FL. The Oaks at Boca Raton offers country club style amenities without the country club prices. These luxuries include an award-winning 12 court tennis center, an elegant Santa Barbara-style clubhouse that serves food daily, as well as an upscale fitness center, spa, resort pool, a full-sized basketball court, and a year-round calendar of activities planned for all ages. If The Oaks At Boca Raton sounds like the perfect neighborhood to call home, you may also want to explore homes for sale in other Boca Raton gated communities such as The Preserve and Seasons of Boca Raton, both of which also offer a beautiful selection of single-family homes for sale in a great Boca Raton location close to everything the area has to offer. If you would like to learn more about the Oaks at Boca Raton or any other Boca Raton gated communities, please call us at 561-998-9015. You may also reach us by completing the brief online contact form provided below and one of our expert real estate agents will reach out to assist you. We at Champagne & Parisi Real Estate look forward to having the opportunity to assist you with all of your Boca Raton real estate needs. Click to browse all Boca Raton single-family homes for sale.